Born in a family full of engineers, I was always obsessed with numbers and formulas. However, unlike most of my cousins, I have demonstrated an extreme level of passion for business studies. 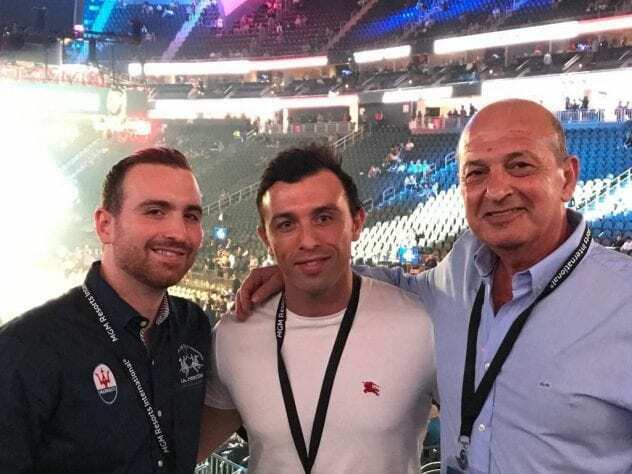 By virtue of my supportive family, last year, I decided to follow my dream in a new competitive environment in London. Having attended numerous job interviews, I am constantly being asked: “Do you have any relevant experience in analytics?” Since starting my MSc in Business Analytics, I can now evidence that I do. Believe it or not: in the first class of my master’s at Cass Business School, I was trying to run Python-based software on my laptop, without any prior experience in coding at all. To be honest, I could not even imagine where to start. Now, I feel confident about applying a wide variety of algorithms for data training and further analysis. The content of the course and projects we have delivered have shaped my internal data analyst. Essential modules like Machine Learning and Analytics Methods for Business have equipped me with technical skills such as data cleansing, data processing and visualisation, and substantially enriched my business acumen. The course is well structured with the teamwork practice. My classmates and I have been granted an opportunity to digest dozens of the best application cases and examples for the business environment. This has been so helpful to learn how to best put forward our top skills and apply them after our graduation to secure our dream job. Furthermore, the applied research project in which we use data analytics as a team has introduced me to the organisational approach towards problem-solving of the complex data issues. The project gave me a taste of working within a tight schedule, the way you might in a real working environment, with like-minded people. I am quite sure that most of the Careers Service team are familiar with me due to the high frequencies of me showing up in their office. No matter whether it’s for CV editing, target industry resources or mock interviews, the Careers Service team are always ready to give me tailored advice through one-to-one meetings. In the whole job-hunting process, I have received several job offers in London from Big Four accounting firms and investment banks across different roles like Data Analyst and Consultant. Honestly, I could not have done this without all the support from the Careers Service team. Regularly, they host networking events connecting us with experts in all kinds of industries and hold events with presentations covering the topics that we are interested in. I would like to thank Cass Business School for offering the most desired course on the job market and equipping me with highly demanded skills to facilitate my career journey. I truly believe that choosing Cass is the best decision I have ever made. When I found out about the international study tours, I jumped at the opportunity to join. The study tours gave my cohort the chance to visit Lisbon, Berlin or Prague. 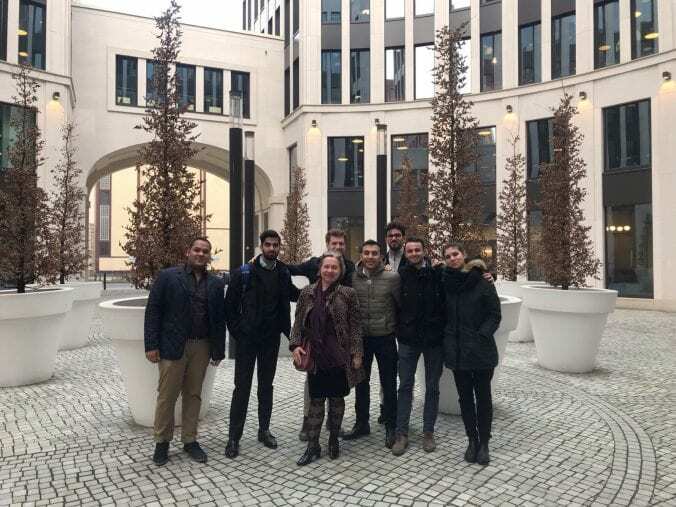 I chose Berlin as I had the chance to discover the culture, the architecture, the food, but also to meet local entrepreneurs. We went to explore how their businesses are run, what issues they face and how they resolve them. There is a world outside the classroom ready to back up young people who are willing to work hard. If you have a good idea and the character to pursue your dream, if London won’t be your home, Berlin could be. Personally, I have already worked in France and the UK, and I will now definitely take Berlin into consideration as another option. Cass Business school gave me the possibility to visit the city from a professional prospective that I could never had otherwise. We met inspirational entrepreneurs who made us see the city through their own eyes. One of them in particular invited us to see beyond the cold German architecture and the cloudy weather, and instead look deeper to appreciate the thumping heart of the city, so open, dynamic and cosmopolitan. Germany is a country that has stood up twice from its own ruins, and both times it became stronger than before. The future is bright in Germany’s capital. We mostly visited start-up incubators, so since the first day, I started questioning myself and wondering whether I should set my own business instead of working for somebody else. I had never thought seriously about this option, as it once seemed to be a world so far away that it was hard to imagine what it would really look like. However, by meeting these professionals who so openly talked about the failures and the challenges they had to face to get where they are now, I think I now have a realistic overview of what it takes to be an entrepreneur: a mix of passion and resilience. I was really inspired by the quote: “ask yourself where the pain is bigger.” This was told to us by Maurice Grassau, CEO at Architrave, which develops digital processes and solutions for the real estate industry. He delivered an incredible speech about launching a start-up that I will remember forever. He explained to us that from his experience, if you will ever find yourself looking for a valuable idea to base your start-up on, you should focus on what is the factor that causes more issues to get done, the thing that is so tricky or time consuming that people would love to pay for getting it sorted. During his speech, he gave us other important insights about managing a business, such as choosing a partner who will often challenge your ideas and thinks differently from you. He also imparted that you should always acknowledge the pressure on your co-workers, as he said “you can’t keep people on stress mode for 12 straight months”. I’d like to thank Cass for the possibility to listen to such experienced people and see another part of the world. Sometimes we are so focused on the textbooks that we forget that the things we study are aimed to be applied. This trip was a good reminder of that. “Ok guys, we are going to apply tonight.” Those were the words I said to convince myself and two friends to apply to Cass Business School one evening in March 2016. These were words of hope. We were lost and all we wanted was a breakthrough. We were three confused students, with an obsession for the stock market but clueless about the financial world. At least I was! Like most people applying for an MSc degree, we were clueless as to where the degree would take us. If you are reading this, you might be asking yourself the same questions. All of us came from disadvantaged backgrounds, with little or no experience, but that did not stop us— it became a fuel for our unstoppable thirst for success. I moved to Brixton in London when I was 13, long before the area was gentrified. At 15 my secondary school teacher told me that I would not go far in life and by 16 I wanted to drop out of college. As if it was not enough, I was also working ridiculous hours to help my mum at home as she was a single parent. None of my friends knew what university was, and the ones who did didn’t bother applying. Fast forward to eight years later and I was about to make the hardest decision of my life: applying to a top business school with no money for the fees. I had passion, a willingness to learn and I saw Cass Business School as a catalyst to my success. I strongly believe that the environment and people you are surrounded with have a strong impact on your life. Many transformative events took place during my time at Cass, but meeting Professor Nick Motson (Associate Dean of the MSc Programmes) a year into my MSc was one of the most significant. As I walked in, his secretary offered me cake after telling me off for being late. The meeting was brief. I complained and explained my frustration about my current job situation, and how I was failing to see the use of my time at the Business School. Nick listened, like a wise man with a long white beard from a movie. Then he spoke, and I listened. Nick taught me about alternative investment and made me fall in love with the hedge fund industry. He described it with so much fascination, triggering my interest in the field I currently work in. During this meeting, I remember being surprised because for the first time, someone really believed in me. He wasn’t just speaking in platitudes, his words were firm and confident. Nick’s words were the catalyst which I had looked for for so long: words of encouragement and wisdom, which I then went sharing to my friends, who similarly to me felt demotivated. 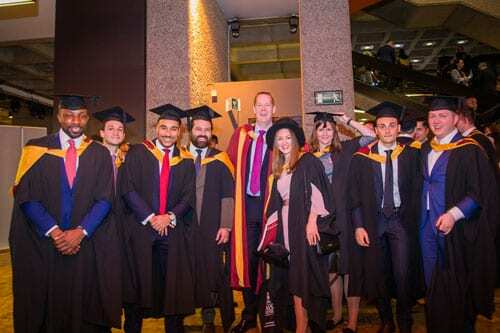 I eventually completed the MSc with flying colours, winning the Beta Gamma award for excellence whilst completing the CFA Level One and working full-time. I borrowed to pay for the MSc, in fact we all did. During those two years, we were rejected, defeated, laughed at and told we could not make it, but my first conversation with him stood out above everything else. This conversation overpowered all negativity that had surrounded us before. Nick’s favourite words were, “there is no free lunch in the financial markets”— and believe me, there really isn’t. In the end, my friends and I all went to work our dream jobs. One pursued his love for deals and works in investment banking. Another chased his love of coding and became a quant at a hedge fund. Finally, as an enthusiast of equity analysis, the last friend became a research analyst at a leading asset management firm. If you are looking for a breakthrough like I was when I applied back in 2016, my suggestion is to cast the doubt away and go for it. You won’t be able to connect the dots just yet, but rest assured that once you complete the degree it will all make sense. On completion of our degrees, my friends and I have now been able to connect the dots going backwards. With determination and perseverance, you can achieve what we’ve achieved too. Studying at Cass wasn’t just a means to an end. It provided me an overview and guided my career choice. Each of the modules that I studied helped me steer my ship in the right direction, all of which would not have happened if I didn’t have some amazing crew members as lecturers! Here I am now, listening to one of my favourite songs, Craig David’s “Rise and Fall”, as I write this post on my flight back to London. I have learned many lessons, and there are many more to learn. The most important is to take all the chances that come your way. Fear is always going to tell you that you can’t, hope says that you will, but it takes determination and drive to reach and produce endless results. Whether you are a student applying for the Cass Business School or not, remember that when everything might seem to be going against you, “planes take off in the opposite direction from the wind.” Fight your fears and any other forces trying to stop you from moving forward. If the plane can manage to take off with all the resistance, trust me so can you! Prior to my bachelor’s degree in psychology, my father would sit me down and talk to me about the insurance industry’s potential, hoping that one day I would follow his path and that of his brothers. I was, however, fixated on a certain perception that stopped me from delving deeper into this misunderstood field. Upon finishing my bachelor’s, I soon realised that despite my passion for psychology, it was not the right career for me. By that time, I had lost my father and my main source of guidance and advice. I struggled to find a new passion that would give me the same excitement and thrill as that from psychology. I am lucky enough to come from a family that looks out for each other. Although I lost my father, I had another father figure in my life that I looked up to, my uncle, Wael El Khatib, the Chairman of Lockton MENA. My uncle completed his MSc in Insurance and Risk Management at Cass in 1998. Upon completing his degree, he had unknowingly begun a legacy for the Khatibs to follow. 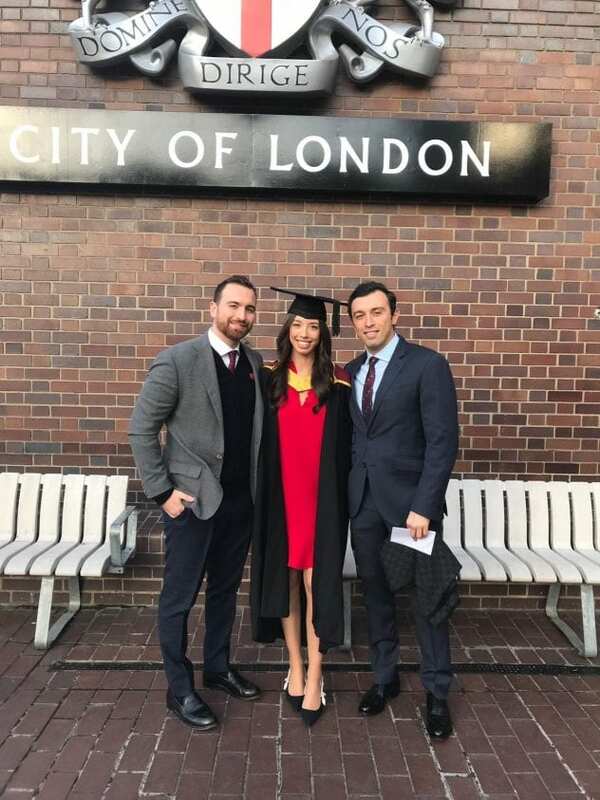 Years later, my cousin, Ata El Khatib, followed in his father’s footsteps and also completed his MSc in Insurance and Risk Management at Cass in 2008. Ata is currently Deputy CEO at Lockton MENA. I think by now you know where this is heading… Ata was not the last Khatib at Cass. His brother, Faris, also joined Cass in 2012 and completed the same master’s degree. Faris is currently the head of Employee Benefits at Lockton MENA. Obviously, the list continues… In 2016, Zainab, their sister, also joined Cass. Zainab had a similar background to mine where, despite her bachelor’s in linguistics, she decided to venture into the world of insurance. She joined Liberty Specialty Markets in London, around two years ago, in an underwriting assistant role for the Strategic Assets team. During my phase of confusion, Zainab spent hours talking to me about the beauty of the insurance industry. She described it as “the field that offers you something new every day, the field that challenges your analytical abilities and forces you to think about the unthinkable.” She helped me overcome the misconceptions and helped me acquire a clearer vision of what I wanted. That’s how the fifth member of the Khatib family joined Cass, as I am currently doing my MSc in Insurance and Risk Management. I am currently creating my own Cass experience, which so far has been indescribable. Not only have I acquired a new family that is so diverse and caring, I am discovering a world that I had no idea existed. Although I am leaning more towards Risk Management at this point, I am enjoying every aspect of the programme. I can’t deny it, it can be challenging sometimes, but I am definitely receiving the appropriate support and knowledge from my professors to help me overcome the obstacles. It is safe to say that my vision of what I want to do after my master’s is becoming clearer. But for the time being, I am planning to take my time in developing this vision. Every day I am learning something new, every day I am falling in love with a different aspect of this field. But, I am sure that Cass will eventually direct me towards establishing my vision. It is rightly said, “Everything happens for a reason.” Although my academic background is in computer science and engineering, I have always had a keen interest in learning about business and management. I wanted to academically explore it further, so I decided to take it up as a master’s degree at Cass Business School. The course formally kicked off at orientation in October 2017, where I walked into an auditorium with approximately 100 people. Back then such a sight would have been extremely overwhelming for an introvert like myself, yet I had no idea that these unfamiliar faces would soon become an integral part of my experience at Cass. 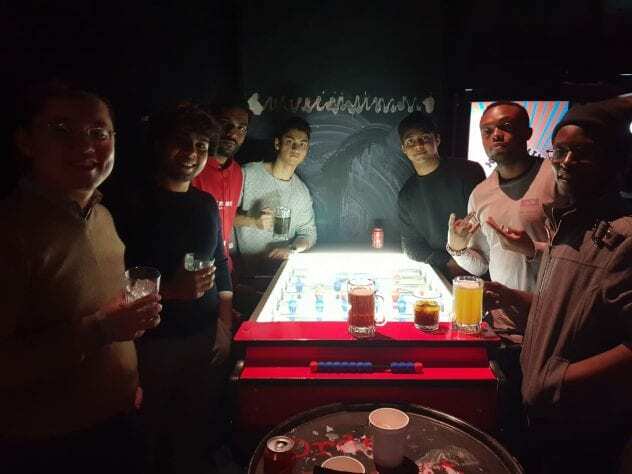 Unlike the Indian system of education, the teaching system at Cass focuses a lot on group work which had me gradually connect with my peers of different nationalities, with different ideologies and different backgrounds. I feel fortunate to have worked with a budding film producer, an economist and a mechanical engineer, all at the same time. Initially, I was not accustomed to working in groups, but over time I realised the true value of debate and discussion, which influenced my way of thinking– yes, for the better! The ideas suggested during meetings were often unique and contradicting in nature. While there were times when my peers sitting around the table held polar opposite opinions, the contrast brought ahead some amazing solutions. I feel this has made me more open-minded to the different situations that I encounter. The year has been such a rollercoaster ride, especially in London where you may experience four different seasons within the span of a single day. 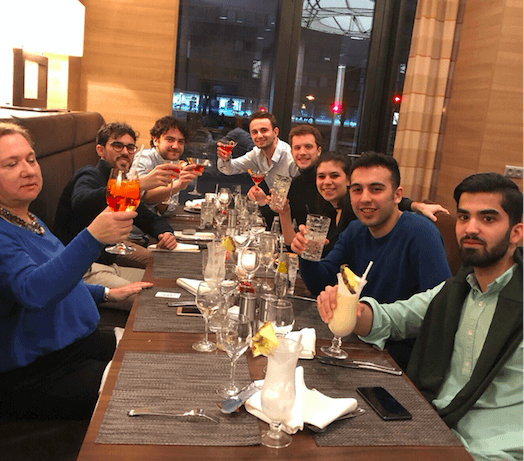 Furthermore, the events have been a revelation: from freshers’ parties, to networking trips to Milan and Florence, the exposure has been extremely fun-filled and phenomenal. The Cass library has been a great resource for me, I feel it is so easy to flip through the webpages in the comfort of my home. I have access to multiple databases so extracting supporting secondary data was never too hard. As I reach my third term, nostalgia has already started kicking in as there are fewer classes with each passing day and everybody is focusing on completing their individual dissertations. I particularly miss indulging in more group work. Nevertheless, working on this term’s real-time consultancy projects with large companies has been interesting. I am currently consulting for real estate giant Tishman Speyer exploring investment opportunities which has been intense yet satisfying. 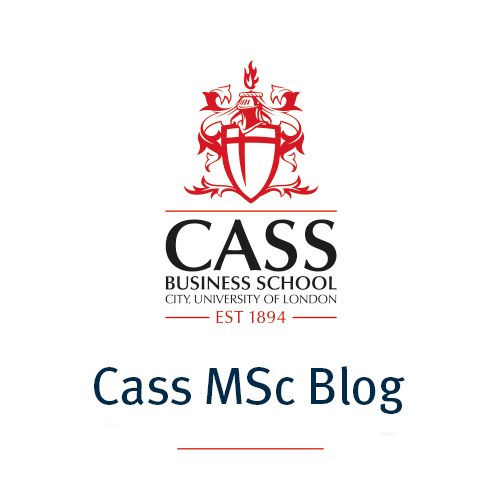 I am also enthusiastic about working on a Corporate Responsibility Project for my dissertation– Cass is one of few business schools across the UK to provide such an opportunity to students! I look forward to presenting the findings to our client, the international law firm Slaughter and May, this August. 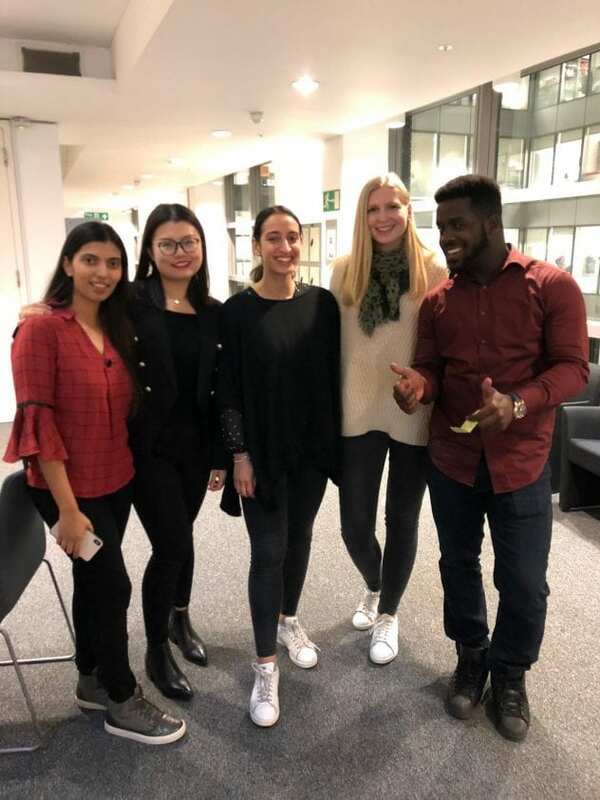 Overall, I feel pursuing a master’s degree at Cass is a lifetime opportunity where you get to experience the best of student life living in the heart of this truly global city, London. From Olympics, to Colgate, to Marketing Strategy Innovation! 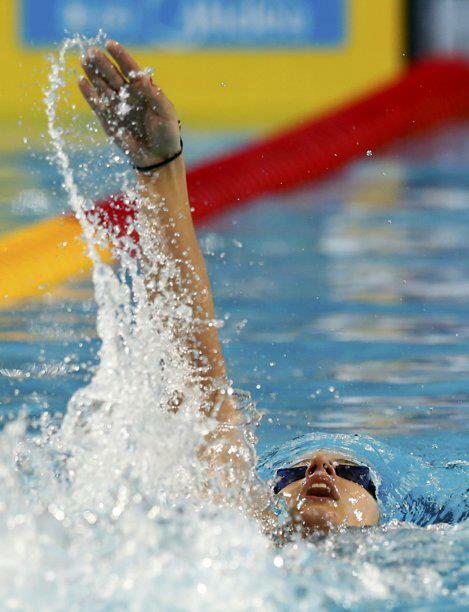 Just like I knew I wanted to compete in the 2012 London Olympics as the youngest ever Turkish swimmer, I knew at the age of 14 I wanted to be in the marketing and media industry. Prior to the Olympics Games, I was selected to be in Vogue Turkey and on the last sentence of the published article, it read “When we asked Hazal where she imagines herself in 15 years, she said ‘Someone who travelled the world, has friends all over the world and who has a successful career in marketing and swimming’“. Swimming has been a big part of my life since I was seven years old and it taught me many things from patience, time management to leadership. Being a professional swimmer and travelling around the world to compete led me to understand different cultures and look at the world from the different angle. I then decided to move onto my next passion: media and marketing. 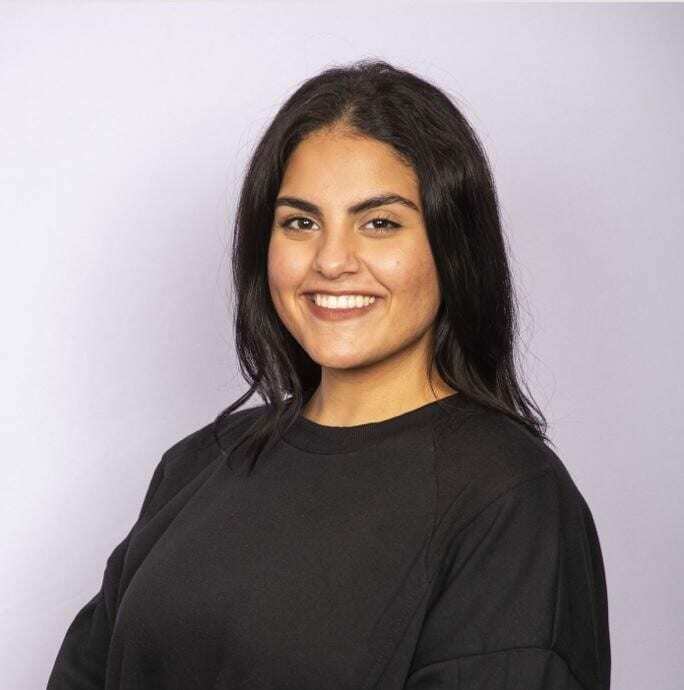 Before joining Cass, I had the chance to gain two years of work experience in two of the biggest firms in FMCG: pladis Global and Colgate Palmolive. At pladis, one of my key roles was to accompany press visits as the first representative of the company with senior exposure and to manage the social media accounts which involved monitoring the news agenda, creating content and liaising with agencies accordingly. These were very prestigious roles in a £3.5 bn company. My time at pladis was ending so I decided I wanted another challenge away from the media aspects of a business. I applied for Colgate Summer Marketing internship and was successful with my application. Having had no previous marketing knowledge or experience meant that I had to work twice as hard and I was willing to do that! Perhaps this is something I’ve learned through managing education and sports at the same time, by putting in the extra hours and hard work. During my first year at Colgate, my report on Colgate’s business highlighted couple million pounds worth of growth opportunity, and my recommendations were implemented shortly after. In the following year, I was asked to re-join as a project manager and led the most successful campaign to date! 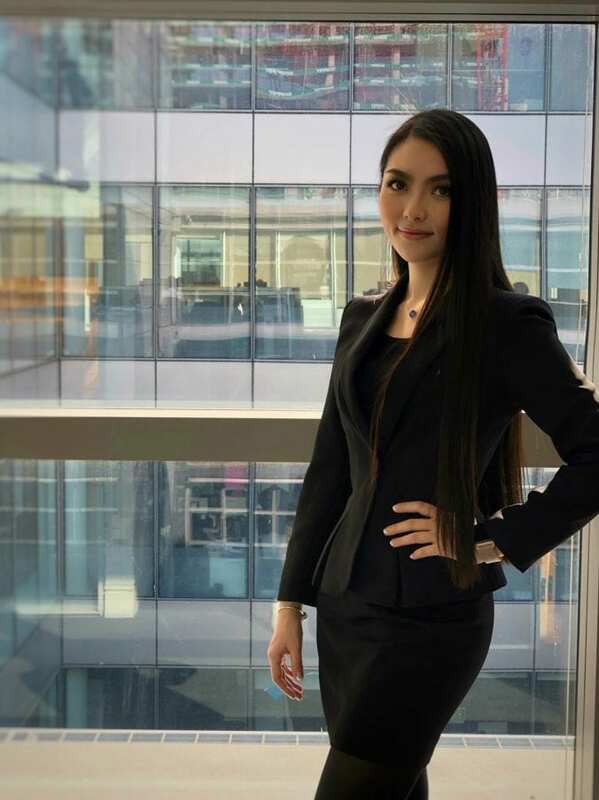 Having these internship experiences was very useful in confirming my passion for Marketing, but I still felt that I was missing the theoretical knowledge required in possible future jobs. To develop my knowledge for the industry, as well as to accelerate my career, I applied for the Master’s in Marketing at Cass knowing that with my experience and the knowledge I will gain from this year I will be ready for any challenge! I was drawn to Marketing Strategy and Innovation because of the variety of modules offered. 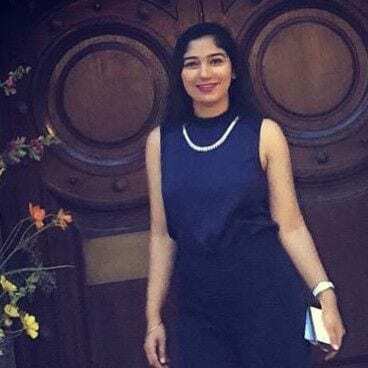 For instance, I was particularly interested in the Brand Management module as I aspire to be a brand manager in a FMCG company within the next few years. Considering my swimming background, I was also interested in modules such as International Sponsorships as well. Two weeks after my internship finished, the introduction week at Cass started and from the first day I felt lucky to be a part of an established university with so much talent. We are currently on our second term and it’s fair to say I am enjoying every day at my master’s. As expected, my favourite module has become Brand Management and also Consumer Behaviours. The ability to work with real companies on real problems using the theories we learn from our lecturers are definitely preparing us to be the leaders in Marketing in the near future. My advice for prospective students: Don’t be afraid to take on challenges and never settle before you reach your dreams! My name is Nderitu Ndegwa. I was born in Kenya, raised in Botswana and studied Actuarial Science and Mathematical Statistics in South Africa. Thereafter, I worked as a Senior Actuarial Analyst at Deloitte in Johannesburg, South Africa. I chose Cass Business School as I wanted to improve upon my leadership skills. I currently serve as the President of the Actuarial, Insurance, Risk and Quants (AIR-Q) Society. My time at the Cass Business School has been challenging but amazing. The UK is the first European country I have visited independently. 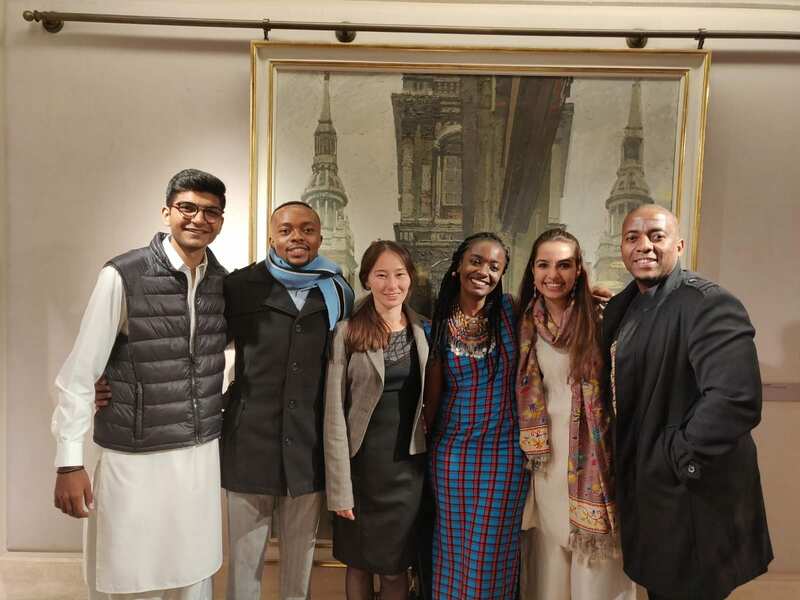 I experienced some culture shock at first, but the student diversity that exists here made me feel at home, as I discovered my peer group is partly comprised of Kenyans, alongside Chinese and Indian students, too. Studying with such a varied group of students has allowed me to learn more about different cultures and perspectives. A positive attitude, I believe, helps one overcome any challenges or obstacles in one’s path. 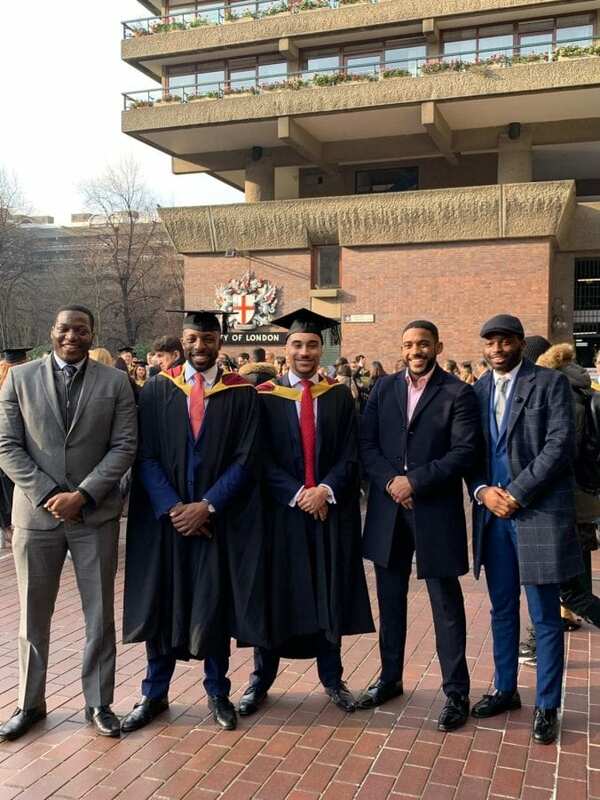 I believe that any student who has ambition and drive will be able to resolve anything; the students coming out of Cass Business School are future game-changers! In the near future, AIR-Q Society will host both a Sports Day and a Casino Night. The Casino Night will see members use their skills collaboratively to win a Casino game. Alongside my fellow Actuaries, I hope to make a positive impact during my year at Cass Business School. The past four months I have experienced as an MSc in Marketing Strategy and Innovation student at Cass have been one roller coaster ride after another, and I mean that in the best way possible. If you’re looking to challenge yourself in every way, this programme is the right place for people like you and me. From assignments and deadlines, to group work and cocktails, you’ll never get bored! When I first began the program I was especially impressed with the diversity of the student body, not just nationalities but especially the diversity of professional and academic backgrounds as well. This became even more interesting when we began our group projects, where you truly see the value of diversity in creative problem-solving. My second favorite part about the course is the lectures simply don’t feel like lectures. The professors at Cass perceive students as equals, this allows for better engagement and an open group discussion where we are encouraged to challenge theories and to share our ideas. This has allowed us to feel valued, to become more responsible and to build our confidence, which has personally allowed me to boost my leadership skills. The course structure in itself is more practical than theory-based and all that you will be learning is related to real-life case studies about some of the top enterprises of the world. This means that you will be given the opportunity to better prepare yourself for your career, whether it is for an interview or a job role that you will be pursuing once you graduate. And that’s what makes this program so special, this hands-on experience is not only innovative but it is also rarely found in other schools. There are also endless amounts of societies and clubs for all tastes, in every sector, in every industry. I have personally found my place as an Executive Board member of the Global Women’s Leadership programme, where we host panels, workshops, and guest speaker events with some of today’s greatest leaders such as Dame Inga Beale, DBE and former CEO of Lloyds of London. Events such are great networking opportunities to allow students to stand out against other candidates when applying to jobs. At Cass, there are plenty of opportunities for everyone to get involved with something they are passionate about. I am grateful for this amazing life experience and I look forward to what the next semester holds. 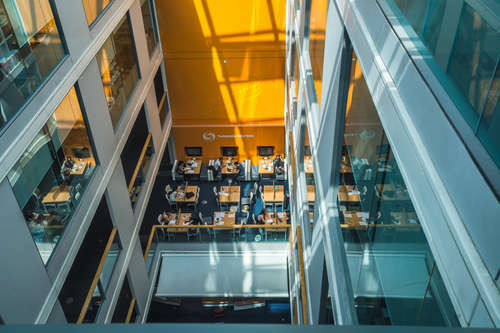 I think one of the most important factors when choosing a business school is the quantity and more importantly, the quality of resources and facilities available. Cass has certainly exceeded my expectations in providing resources for studying and facilitating guidance for job applications. 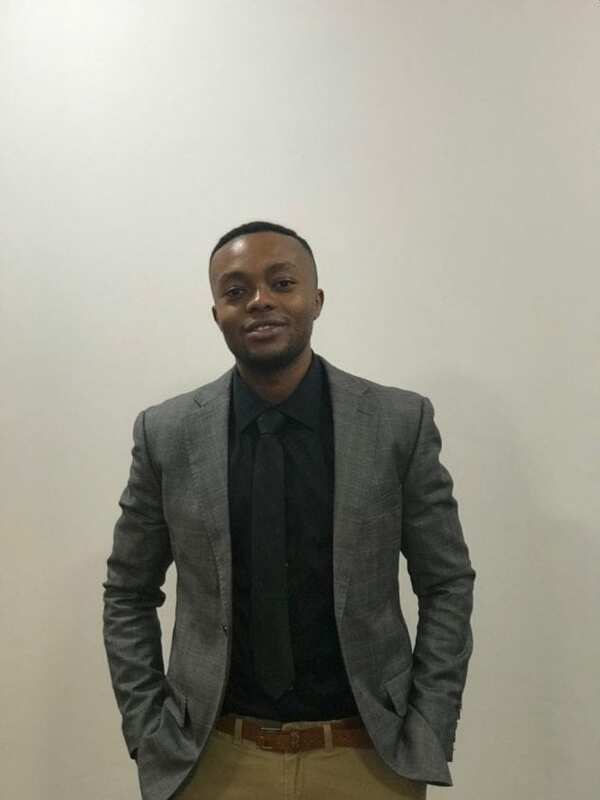 When I chose Cass for the MSc Actuarial Management degree, I did not have much of an idea of the vast number of resources that were going to be provided to me. When I joined in the fall of 2018, I was given the opportunity to attend numerous workshops such as getting to know the library resources, job market trends in the UK for graduates and experienced people, job search strategy, writing effective cover letters, the art of networking, how to prepare for interviews, how to prepare for assessment centres, commercial awareness, the visa process and how to make a strong LinkedIn profile, CV and application. These workshops have helped me a great deal to improve my knowledge on how to land a good job. The resources were of great help during the different stages of the application process while I was applying for graduate roles. The Cass Careers team were always there to support and give feedback on crucial stages like online interviews, assessment centres etc. The Cass library has numerous academic resources, journals, articles and research papers in the business domain. Most of the books are also available online which does away with the fear of running out of hard copies. In the library there is online as well as in-person support, helping you in understanding how to use these resources efficiently. There is a separate database for financial information, which provides access to a wide range of financial data for both public and private companies. It is accessible across a range of platforms, on-site and from your own computer, giving you a brilliant opportunity to analyse the market data and have the fundamental and technical analysis. There are many other resources to do market research and industry research through customer demographics, behaviours and trends. Cass has a relationship with Bloomberg, which gives access to Bloomberg’s past and ongoing analyses over the market, providing news, analytics, real-time pricing for over 5 million securities worldwide plus extensive historical pricing and stock charts. Also provided is an opportunity to attend Bloomberg courses and get certifications for the same. Cass also provides resources to get information about the companies, which really helps while preparing for coursework, projects and also in job interviews. It helps in gaining a holistic understanding of the company under one roof. Cass also offers a subscription to the Financial Times, which helps to keep updated with the current events and news of the financial markets across the globe. 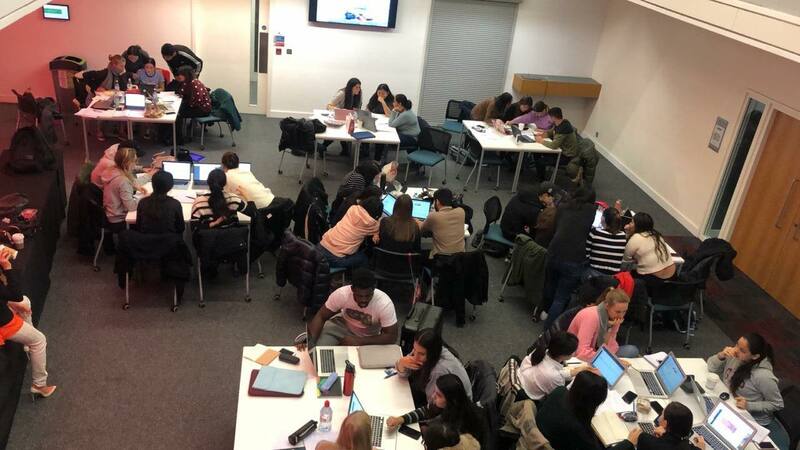 The business school also regularly organises workshops which cover a wide range of trending topics. Hopefully, by knowing what opportunities there are to take advantage of, you will be prepared for the many resources that will be provided to you. This might seem counter-intuitive given that our primary purpose this year is, essentially, to learn. However, unlearning in our course underpins our study practices, presentation methods and even our exam techniques. Most of us here have already done Core Technical actuarial exams that require a certain level of mathematical and analytical ability. While this is still important as it gives us a necessary foundation for this course, there are no numbers now. Lectures, instead, are discussion-based and require a lot of idea-generation and creative thinking (within reason, of course). This has required us to utilise a completely different skillset than the one we used before. That has taken a lot of re-training, both of our minds and habits, while preparing for exams and for life after Cass. Of course, the transition mentioned above has not been seamless, but the worst thing you can let failure do to you is make you afraid to keep trying. Case in point: Professional Communications. The only thing I will say about this module is that if (i.e. when) you don’t succeed the first time, don’t worry, you’re in good company. Just keep trying. Actuarial Science is a global career in every sense. Our class is filled with people from all over the world. This is exciting in that our course is a melting pot of different ages, cultures, perspectives and personalities. This, when handled with respect, is a perfect recipe for success. Networking and socialising have been essential parts of my experience at Cass. During induction, we were given the chance to meet our fellow classmates in a relaxed environment at the Magic Roundabout, which was a great way to start the term. There have also been more professional workshops with industry professionals like the Actuarial Panel Event. 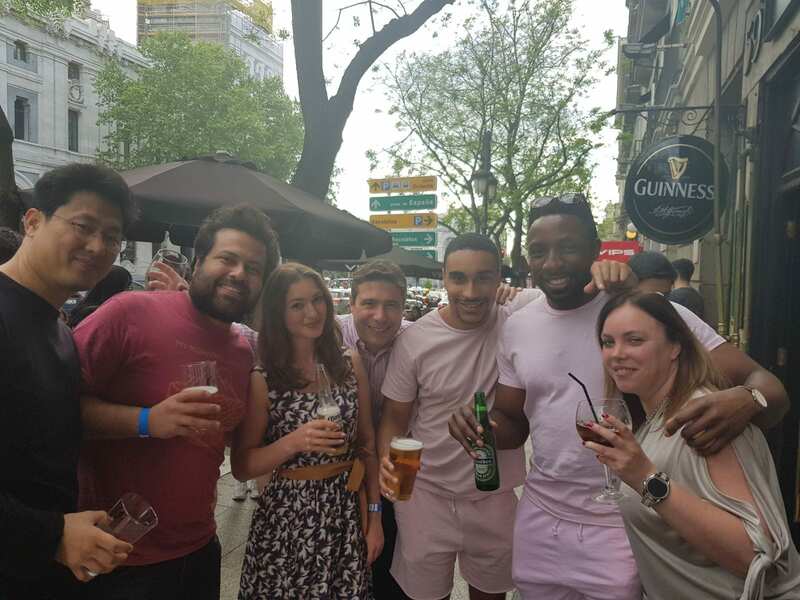 These events – organised by the Careers Team – have given us access to the actuarial market in London, which has proved invaluable. The newly-refurbished Actuarial, Insurance, Risk and Quants Society is another way we’ve been able to interact and share ideas. There are also events in the future to look forward to that involve industry-players’ participation that provide another insight into life post-MSc. This course requires you to start making decisions right from the start; what Specialist Technical exams to sit for, when to sit for these exams to maximise the probability of success, whether to take your chances with Professional Communications, how to structure your day to maximise studying time, whether to take your second nap of the day… The list is endless. It is very easy to get overwhelmed. I’ve found that taking time for things like dance classes at City, going to concerts, going to food markets and even simply going for walks makes life seem less daunting.